SOCIAL MEDIA MARKETING & SEO - SysNet Solution Inc.
Any company can add a Facebook, twitter, or LinkedIn tab to your site, but is it socially integrated? As a social media marketing company, SysNet Solution provides clients with complete social network integration which can provide a sophisticated level of social network integration that improves the user experience and your organic SEO. In addition, good social network integration will improve the amount of time that users spend on your site which also improves organic SEO. SysNet Solution has various Social Media Marketing Packages that you can get for your business. It is important for you to have an idea about the different aspects of SMM packages in order to get well-suited services and appropriate price rates. 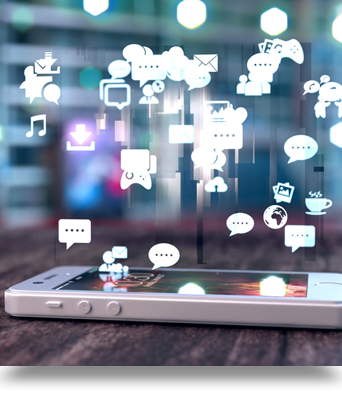 Factors that determine Social Media Marketing Packages may include the number of strategies to be implemented, the number of social media profile creation, the frequency and volume of content to be distributed on various social networks, the social media management approaches and the timeframe or duration of which the social marketing services will be up and running. SEO is the process of improving the organic ranking of a website with leading search engines. SysNet Solution Search Engine Optimization methods can make your website appear on the very first page of a search engine's listings for relevant keywords. Our Search Engine Optimization service encompasses consultation, keyword research, copywriting, website redevelopment, creating incoming links, submitting to search engines and finally, reporting on optimization results. As one of the Best SEO companies we make the necessary changes to a website in order to achieve top rankings in the major search engines. Proper reporting is key to increasing the Web analytics adoption throughout the enterprise. Our reporting starts by tracking your website and you are better able to understand how users interact with it. Are your users being scared away by your lengthy contact form? Can your users find the links to your sales and contact pages? Web Analytics and metrics can help you discover what pages are being viewed often (and which ones are not) so that you can make the necessary changes to increase your web traffic and better serve your customers. Visitor stats: From the number of visits per day, to you visitors location, browser, OS, and frequency. Pageviews: Find out which pages are visited the most, and what navigation steps your visitors take. Keywords: Discover what words people use to find your website. Downloads: Do your visitors download PDFs, spreadsheets, or other documents? These downloads can be tracked, too. Social media marketing has quickly become an industry unto itself. It's key for companies to maintain and monitor a social media channel to communicate with customers and leads, and get a feel for what they think of its brand and products. Companies and businesses must now have a social media strategy, starting with the biggest media channels such as Facebook, Twitter, LinkedIn, and YouTube. 85% of all website traffic originates from the search engines, with the majority coming from a select few. If your company has an online presence but doesn't have top 10 rankings on the major search engines for your targeted phrases then you're losing money to your competition every single day. With SysNet Solution Search Engine Optimization we make sure that your website attains a high organic ranking for the keyword phrases that will produce the greatest profit for you. We do this with services that include in-depth keyword analysis combined with the highest level of commitment to placing your website above your competitors on the major search engines with our SEO services. It allows you to communicate with customers quickly and easily. It amplifies your content on the Internet (the social media effect, drawn below). It helps you to monitor the impact of your brand in the marketplace, including your customers positive and negative impressions. Setup Facebook, Twitter, LinkedIn, YouTube & Many More Social Networks. Weekly Management Updates & Comments. Monitoring Site Popularity & Advertisement.